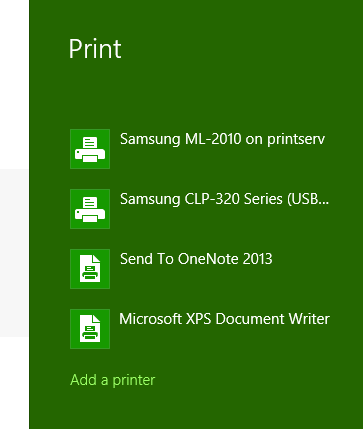 I am developing a Windows 8.1 native app and the functionallity I am implementing requires a direct print to the printer, avoiding the default print flyout of metro apps. However, I don't see the way to achieve it. I only want to tap a button and print a document directly, it must be simple and quick operation for the user. Please help me! I only want to skip the print selection and print settings!! There is no way to achieve this functionality in a WinRT app.